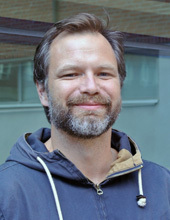 Daniel Johansson's research has two main areas: 1. analysis of what the role of central geophysical uncertainties in climate (eg climate sensitivity) plays in our ability to cope with climate policy objectives 2. Analysis of methods and principles for the emission of various gases can be weighed against each other to achieve the most effective climate policy as possible. To analyze these questions, I use an interdisciplinary approach and utilizes and develops both simple climate models that techno-economic models. Why reduced beef, lamb and dairy consumption may be necessary for meeting stringent climate targets. Future food consumption and climate change - are dietary shifts required? A Perspective Paper on Methane Mitigation as a Response to Climate Change. OPEC's Oil Revenues in Carbon Constraint Scenarios - When Can Richardian Rents Occur? Non-CO2 Greenhouse Gases in National Climate Policies: A reassessment of the Comprehensive Approach. There might be more projects where Daniel Johansson participates, but you have to be logged in as a Chalmers employee to see them.